Bull moose; photo by Gail Fisher (fisherga) on Flickr (use permitted with attribution). The iconic moose (Alces alces) is the world's largest member of the deer family. 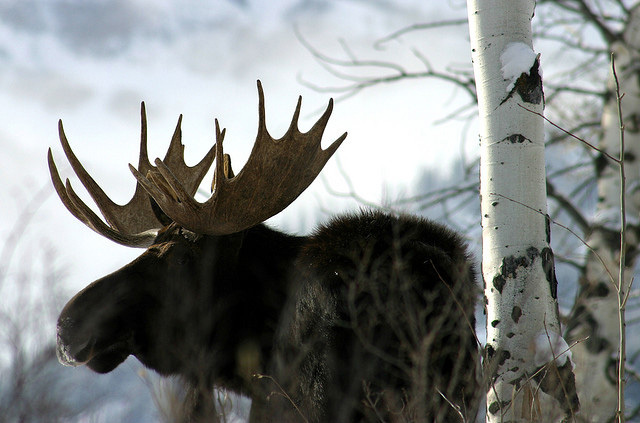 Moose inhabit northern forests of North America, Europe, and Russia (in Europe moose are called "elk"). 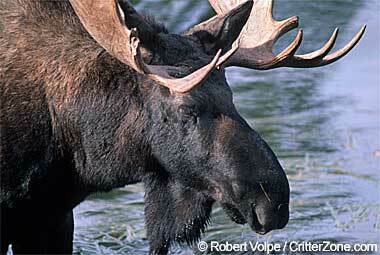 A bull moose can grow to over 6 feet tall at the shoulder and can weigh over 1400 pounds. Males grow an enormous spread of antlers each year (antlers may span over five feet, but are shed after the mating season). Moose have long legs, a heavy body, small tail, drooping nose, and a "bell" or dewlap under the chin. 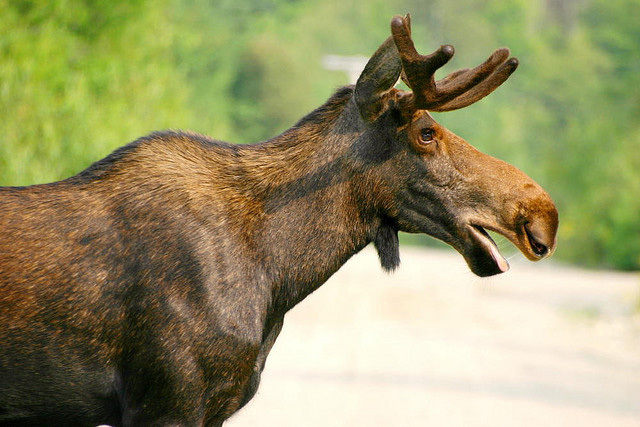 Color can range from golden brown to almost black (depending on the season and age of the moose). Young bull moose in the White Mountains of New Hampshire; photo by Dave Spier (northeast naturalist) on Flickr (noncommercial use permitted with attribution / share alike). 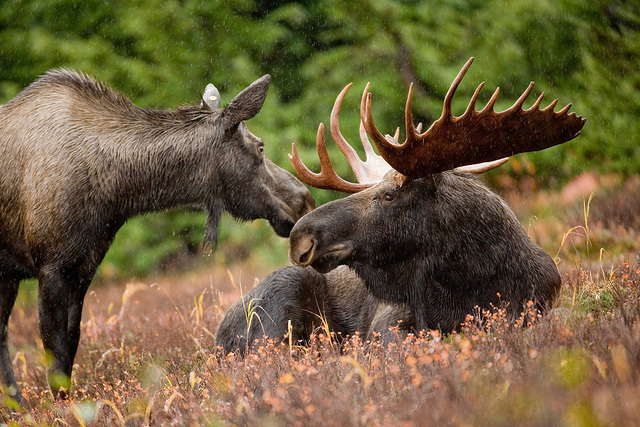 Moose pair (male and female); photo by USFWS Headquarters on Flickr (use permitted with attribution). Bull Moose © Robert Volpe / CritterZone: Animal - Wildlife - Nature Stock Photography (all rights reserved; used by permission).